What makes a masterpiece: the forward standing arched brow and pillars, the step up from the bullnose hearth. We have used the Fire Surround Centre extensively over the last 10 years to undertake all our installations. Their attention to detail and customer service with our clients is second to none. The service from the initial introduction to our clients, through the choices procedure then all the way through the actual install then the aftercare can only be described as excellent. 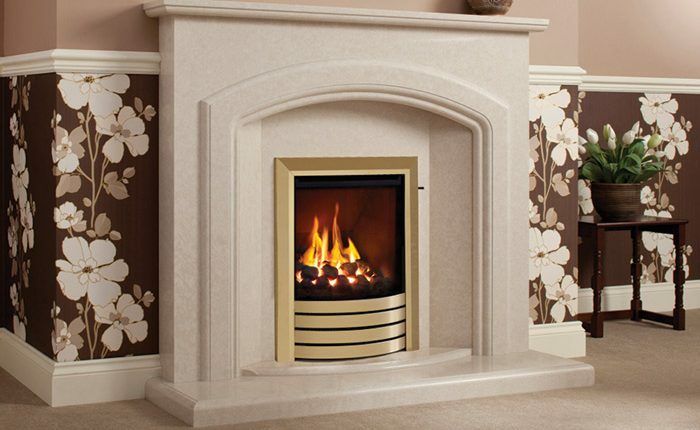 We have no hesitation in recommending Fire Surround Centre.